Flair Art is Crown Lynn, but what is Flair NZ?? Re: Flair Art is Crown Lynn, but what is Flair NZ?? Flair Art Pottery is a brand name that Crown Lynn used. I've come across pieces marked Flair, but can't remember what else was on the sticker. Definitely not Crown Lynn, so you are right. 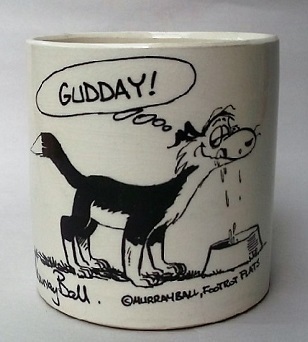 Have to find out more about this other pottery though..... I snorted when I saw that auction ! I wonder if there is any substance to what this trader says about Flaire pottery?